Wow, this is looking good. An especeially important contribution to education as it will surely involve now and in the future. As a pastoral psychotherapist, makes me wonder what could happen if the DSM Case book were converted to simulation case studies. hmmm. A very thoughtful post, Jeremiah. I look forward to next week’s installment. I would like to share a few thoughts I had while reading your post, as well as pose a question on the applicability of your method in other game mediums. Conceptualizing historical simulations in terms of problem spaces, I believe, is a great way to tackle some of the ‘agency’ questions you so adroitly examine above. When you state that computer games require, by necessity, the world they model to be reducible to 1’s and 0’s, it occurred to me that, in many ways, this is exactly how our Federal Government (in fact most governments) view the population they govern. We hear of employment figures, income figures, crime rates, graduation rates, life expectancy, aggregate of customer review ratings, the stock market, etc… Things that are very qualitative are often transmogrified into quantitative results in order to suit the ‘pervasive documentary’ needs of modern governance. In this way, the simulation is more real than we might first imagine. On the nature of computer simulations being closed- I totally agree, but as I read your piece I wondered where the presence of the board games might fit in with your analysis of ‘problem spaces’. It seems to me that board games represent a very open model- indeed, they have to be completely open in order for a player to engage with the game. Of course, board games are also limited in what approaches they take to model any given scenario or situation, much like their computer counterparts, but due to the high degree of adaptability (you need only to be able to read, write and make assumptions to change a board game) it would appear as though board games are not quite locked into the ‘straight-jacket’ of interpreting history that a computer game must embrace. Even textual monographs, with their ability to address a wide range of views, are essentially ‘locked-down’ interpretations of the past. If I read a book on the Russian Revolution, put it away for 60 years, and then return to see if it has ‘updated’ sources I will be sorely disappointed. In this way, by analyzing the capability of an artifact to be modified through use or transmission, one could argue that a textual monograph and computer simulation are quite alike. When you suggest that we can critique the methods of interpretation a computer game presents, I think you are right on- but I would add that this does not change how the game interprets history, it only changes our opinion of how that interpretation came to be and the validity of its guiding, computational pretense for existence and operation. If I find a board game to be unsatisfactory in its interpretation, I can write new rules and change the outcomes. Changing the code of a computer game is not that simple and in this measurement of modification potential the computer game and textual monograph share striking similarities. To put it simply, how does your interpretation of problem spaces address user modifications and how does the operation of board games challenge or affirm the role of problem spaces you use to examine computer based historical simulations? @Jeremy: Thanks for the quick response. Rather than risk missing a point you made, I’m just going to go down the line and respond. First, I think you are absolutely spot-on that the reduction of the world a high level simulation game makes of agents other than the player agents may in many ways reflect how certain “players” in the physical world view very abstractly or disinterestedly the details of the lives they affect (the old Stalinist cliche of a single death tragedy vs. a million death statistic). I think high level strategy games, when appropriate questioned and discussed (remember I’m coming at this as an educator) pose some fascinating questions about how some groups in the past may have treated others as means rather than ends. Board models definitely offer an important qualitative difference in this. To be commercially viable, my sense is they need to be closed (when I design classroom board sims I distinguish between ones I need to moderate and ones where the rulesets are clear and complete enough to have students just play.) But they can be modded readily just through implicit or explicit house variants consent. They also tend to offer a great deal deal better modeling of most aspects of negotiation and diplomacy than computer games because they bring humans together and presume (usually) the opportunity for face-to-face dialogue. So I think that board games are more flexible and offer terrific inroads into looking at the past, though of course they also do not have the computation power. (Actually I’m reminded of the work I do with Inform, the text adventure creation language. One of the great powers of text adventures on computer is that they have computational power with the precise representative power of text. Board games can be like that in that players can agree on roles and limits more precisely). As for text, absolutely locked in. When I teach game design I make the claim that two of the most important distinctions between text and game are games model choice and variable outcomes, while text is more precise and static. So to get to your main question: to me the act of creating or modifying a game, board or computer, can very much be an act of historical interpretation (I drafted a short blurb on this once on my site http://gamingthepast.net/theory-practice/mccall-student-created-sims-as-historical-interpretations/. And I would say that whether tabletop/board or computer, the framework of the problem space applies. 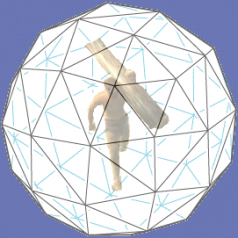 What modders can do is add/delete/replace their own sense of the roles, goals, affordances, and constraints. Of course (because I need to get to Bruce Geryk’s comments soon), modders more often than not are not doing any of this in a historical-discipline sense. I’m just saying they could. If for some reason I managed not to address your question, let me know. That response is exactly what I wanted to know- thanks for addressing my question. You are conflating the processor mechanics with game mechanics. 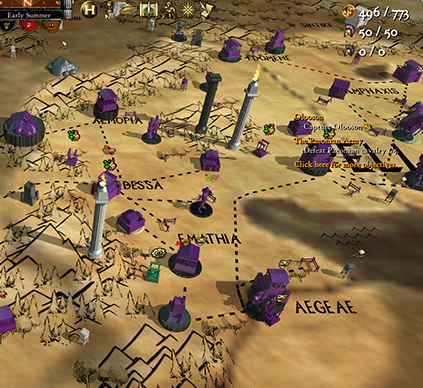 There is nothing about any game mechanic that requires it to be presented to the player as a number, or that it be “increased or decreased in precise ways.” Those are game mechanics, and Happiness is a quantifiable game mechanic because city builders are entertainment products, not simulators. You could just as easily have Happiness be the color of your screen, or a combination of your screen resolution changing in concert with a low whining sound and a blurring effect, or any other audiovisual representation. It could also work one way one minute (money makes you happy, food makes you happy), then the next day nothing makes you happy, and give a large productivity bonus one day and none the next, and another day it would have no discernable effect at all. The reason this doesn’t happen is that strategy games generally require quantitative decisions, and by convention are built around the achievement of quantifiable goals, because the people who buy them for entertainment enjoy this, so that’s a good business model. But nothing about the fact that a CPU is a binary processor has anything to do with this. You have a better argument if you said that for structural reasons, games are stuck making you see and hear things, but cannot use olfaction as a gameplay tool. Second, you keep talking about simulations, but I don’t see any simulation in the products you discuss. Hegemomy certainly isn’t a “simulation” of ancient Greece. It’s just a strategy game. Steel Beasts Pro is a simulation. Falcon 4.0 was a simulation. Colonization is a strategy game. I would hesitate to draw any historical conclusions from anything that is a historical strategy game. These are made to be good games, and go through testing and balancing to be good games. They have historical elements, because the audience is interested in history, but “historical simulators” are boring. 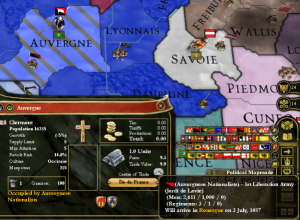 Even Europa Universalis is not in any way a simulator. You can easily conquer the entire world as any one of a number of different nations, such as Poland or Sweden. It’s just a game. Lastly, I’m not sure what the criticism of the slaves is supposed to be about. Are you saying the game is open to criticism because it includes slaves as a mechanic? I’m not sure what the point of such a criticism would be. What about wargames that have Axis soldiers? Why are you trying to add agency to slaves in a game about Greece? For the sake of having it? I guess I don’t really understand this essay. You take a pretty straightforward topic (problem spaces) and trying to construct meaning out of choices in game mechanics. Problem spaces are a pretty well explored topic in game design. They relate to game scale, the need for interesting decisions, and require abstraction of various problems to highlight others. This is interesting from a game design perspective, and it would be interesting to evaluate the design decisions involved, but you specifically don’t do that: you only point out that certain decisions were made. Any time a game design question comes up, it ends your line of thought. Thanks for your critique; I’m a big fan ever since CGW – Tom and Bruce days, and listen to 3MA evry week without fail. I was going to begin by responding to each of your points in detail, but after reading your comments a few times, I think ultimately we are coming from different vantage points and so I want to clarify my frame of reference as it pertains to this topic . That leaves a whole lot of leeway but ultimately I’m not concerned with determining precisely which games are simulations and which are not—games about real world topics fall on a spectrum and there are probably many ways to mark the division. I’d like to suggest the bigger issue is whether a historical game through intent or happenstance offers a defensible interpretation of the past, why some outcomes happened and other didn’t, what affordances and constraints were at work as people acted and interacted, etc. I’m curious about your understanding of history. You mention that EUIII is not a simulation because it allows one to take over the world as Poland or Sweden. Are we to assume that the past as we receive it was deterministic and is fixed? Surely even in a simulation as normally defined, there is the possibility to have different outcomes? Now I will agree that the outcomes in the game (because I agree, it is a game) may be more varied and even fanciful. I agree that a game that makes it easy for Poland or Sweden to take over the world probably has some serious flaws in its representation of past systems. But I fail to see how the possibility of counter-factual outcomes a priori makes something not count as a simulation of the past. Unless a simulation should represent exactly what happened in the past and why, in which case I think there is a confusion here between the past and history. It wouldn’t take much pushing for me to call EUIII a flawed simulation or call it not a simulation compared to Falcon 4.0. To me, however, that is missing the point: it offers a number of plausible and defensible (through historical evidence) claims about how and why states and militaries succeeded and failed in Early Modern Europe. (I should note here that I assume even the most carefully researched and argued historical monograph is still an interpretation subject to revision, not a truth of what happened and how; though the monograph will almost certainly be better supported and argued than the game – the purposes of the creators and their audiences are very different). Would it have made more sense to you that I referred to “interpretations of the past” rather than “historical simulation games” to refer to games like Hegemony and EUIII. If even that variant does not seem to be a meaningful phrase let me offer that in this day and age when the historical profession has become very interested in and even involved in cinema, games and other media more modern than text, it is not controversial to suggest that these games are interpretations of the past, so long as it is not expected that the only interpretations of the past that are made come from professional historians, and it is understood that often the most enduring presentations of the past do not come from historians. I think the other thing that is important to note is that this is an essay about historians and the historically minded analyzing historical games and understanding more about the medium of games and how the constraints and affordances of the medium tend to produce certain visions of the past. Though I strongly suspect I have not really responded to your concerns, I do appreciate the comments and welcome more discussion on this. Jeremiah, thanks for your detailed reply. Regarding my comment about taking over the world as Sweden or Poland and my understanding of history, I think we basically agree. I am not arguing that there could not have been reasonable counter-factual historical outcomes, I am arguing that allowing Poland to take over every inch of the world, with all of Europe, Africa, Asia and America and Australia under its control, and every person on Earth beholden to Warsaw, is not a reasonable counter-factual historical outcome. It would be roughly equivalent to an F-16 simulation where I pointed my nose up, maxed the throttle, went out for a while, and came back to my computer to find that my plane had entered faster-than-light travel and was now passing Proxima Centauri. In other words, not a simulation. You actually did respond to several of my concerns, at least in the sense that I have a better idea of your perspective on this. I think that we fundamentally differ in our opinion of the appropriateness of drawing conclusions from historical strategy games. I kind of feel like looking to Colonization for insights into colonialism is like looking to Operation for insights into surgical planning. It’s not designed for that purpose, and while I agree that historical games are certainly “interpretations of the past,” I disagree that they’re in any way helpful in shedding light on any historical problems. They are entertainment products, and thus designed to entertain. Yes, someone could write an essay on the portrayal of slaves in Hegemony, but the answer to the question “why wasn’t such-and-such done” is usually as simple as “the game was better that way.” Since you specifically avoid any discussion of game design in your article, that sort of ends the discussion right there. I have a feeling that our debate is beyond the capacity of the comments section of your website. Drop me an email and we can discuss further if you’re interested. @Those reading Bruce and my comments. Just wanted to let any readers know that we are continuing this great conversation on email. I saved PtP from my lengthy response but I’ll work it into my post on the educational implications. Let me take the opportunity again to pitch the outstanding strategy games podcast Three Moves Ahead that Bruce regularly contributes to. The episodes are topical, get into all sorts of historical issues, and the old episodes are just as insightful now as they were when released. This is a very interesting post. I’d point out here that in Europa Universalis III, the nationalist rebels will in fact create their own country or join a nearby country of their nationality eventually — it just takes almost three years of inattention for them to do so. So the model isn’t quite as reductive as you might think! @Liam: Thanks for the correction. I was playing EU III the other day while finishing this up and had the idea. I tested it out only so far as letting a nationalist group take over, but did not wait to see what happened in three years (when I’m playing I usually try to stop the rebellion at the siege phase, so it did not occur to me). So let me integrate this into my reasoning and say that the game does provide a greater portrayal of agency and options for the rebels than the bare minimum it would have were the rebels just province blockers. I’m coming into this discussion rather late, so I have some thoughts on some of the comments as well, and how they pertain to Jeremiah’s original post. Since general questions about the capacity of games to simulate influence more specific concerns, I’ll start with the general. Bruce’s objections strike me as issues of nomenclature across different disciplines. Producers of war games have long touted their products as simulations, even when they dealt with history at the strategic level. For instance, Simulations Publications Incorporated (SPI) was one of the major producers of historical strategy board games in the 1970s and early 1980s. Moreover, most historians today readily acknowledge that history cannot be understood in its entirety, not only because of its overwhelming complexity and the incompleteness of sources, but also because of the inherent bias in any person’s understanding of past. Moreover the prominence of cultural analysis in modern historiography means that any popular production is worthy of critical analysis for its historical themes. For instance, a film critic might argue that Braveheart is just a movie, not to be taken seriously as a depiction of history, and indeed almost all historians would say that it should not be. However, the general population may not be aware of how fundamentally inaccurate the movie is. (I’m referring here to issues more important than misapplied war paint or six-year gestation periods. The major historical critique of Braveheart is its reified view of English and Scottish national identities, which did not exist in anything like their modern forms at the time of William Wallace.) Similarly, just because historians understand the limits of historicity in popular historically-themed games, such as Civilization and Total War does not mean that the average player does. Historians can analyze these productions as they do movies for contemporary cultural biases and marketing considerations that shape the productions portrayal of history. Historically-themed games are therefore necessarily imperfect models of the past that privilege some aspects over others. This can be seen in terms of the divide between first person shooters and strategy games. Hearts of Iron III and Call of Duty: World at War are both simulations of World War II, but operate at very different levels, the difference say between a history of the Second World War and a biography of a particular combat veteran in that war. It is difficult to see how both levels of experience could be modeled in the same game. The closest I know of is the Total War series, in which the player, who is operating at the strategic level across a map of Europe, Japan, or multiple theaters depending on the game’s themes, can choose to resolve a battle as a commander at the tactical level. In this case, however, no other issues are resolved at that level. These games do not, for instance, include city building options along the lines of CivCity: Rome when developing your cities. Nor do they model spying at the level of a first or third person role-playing game. In this sense, therefore, I’d suggest that searching for a total simulation of history is akin to searching for a unified theory of physics. You might be able to provide a model that simulates at one level, for instance world systems, but in doing so you will almost certainly shortchange the experience of another level, for instance individual agency. However, just as the lack of a unified theory of physics does not prevent physicists from modeling the universe mathematically through gravitational and quantum forces separately, the complexities of history should not prevent historians from simulating history at different levels as well. This gets me round to the issue of slaves in Hegemony. Many scholars have argued that no individual has agency at the strategic level, since the aggregate of individual actions subsumes individual agency. The most famous of these is probably Karl Marx, and those who have been influenced by him. More recently, even the cultural turn in history, which many Marxist’s opposed, has come perilously close to denying agency to victims of oppressive forces, so much so that a major objection to Edward Said’s Orientalism was that, in criticizing the “West’s” creation of knowledge, he denied agency to Asian and African society’s in shaping their own cultural identities. I think an argument can be made that the strategic level of simulating history inherently biases the perspective to those who control great political and economic power. (What after all is the role of a player in Civilization, Europa Universalis, or Total War? Given the multiple generations that these games cover, the player is not playing as a single ruler, but more as the spirit behind a people – along the lines of Herder’s Volksgeist.) For this reason, I think Jeremy’s observation about the perspective of governments toward populations is on target. Even in modern democracies, candidates are driven by poll numbers, which have narrow percentage “margins of error.” At the strategic level therefore the only way to model the agency of slaves, it appears, would be if they rebelled. 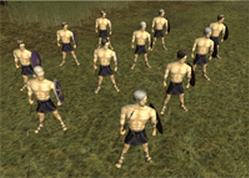 One could easily have a strategic game about the Roman Republic that figured in Spartacus. Perhaps the underlying question is why do so many first/third-person level historical games focus on combat? As my sister-in-law, a player of The Sims, complained: “Why isn’t there a Jane Austen Sims?” (There is a Sims: Medieval which is more fantasy than history.) Similarly, one could imagine a first/third person role playing game that focused on the underground railway. Perhaps there is one out there of which I’m unaware. But if this is the case, then why isn’t it selling well on the commercial market. Perhaps this does bring us back to Bruce’s remarks about the importance of these being games (albeit I would argue simulations as well). Gender issues possibly enter into these considerations, since the presumption is often (perhaps incorrectly) that war games attract men whereas social games attract women. Martin, among a number of great points, makes one about how modern mass media make any number of assertions about the past that may essentially go by unchallenged. What I think is critically important in all of this is to recognize that it is not the historian’s job to assign blame. At no point in this process of identifying problems of interpretation in Braveheart or CivCity:Rome etc. should the goal be to blame a director or game designer for somehow failing to get “the facts straight” (whatever that means) or for intentionally misrepresenting the past. These authors have their own goals and to suggest otherwise will not do. Ronald Syme, a master historian of the late Republic and Early Empire once pronounced in reference to Cicero “It is presumptuous to hold judgement over the dead at all, improper to adduce any standard other than those of a man’s time, class and station. “ I would suggest, as historians, that sentiment also applies to understanding why a historical game or film takes the form it does, understanding why the designer/authors did what they did. The goal should not be to assign blame. Rather the goal is to understand how the past is represented in games that suggest they are about historical topics and why it is represented in the ways it is. This requires understanding the medium and its constraints and affordances, the audience and its expectations, the designers and their goals, and the ways these and other factors shape how knowledge of the past is transmitted from that past to our living rooms. I’ve really enjoyed this conversation. Jeremiah, I think this does a nice job in laying out some of the potential vectors for interpreting and analyzing simulation games. With that said, I feel like the big thing that is absent from discussion so far is consideration of meaning making. That is, the mechanics and design of a game model some slice of the world, but that model is, for the most part, meaningful to us to the extent which we come to understand that model. In this respect, I tend to prefer Will Wright’s notion of thinking about sandbox games like Civ as possibility spaces as opposed to problem spaces. In particular, the idea of the possibility space focuses attention on the dynamic exchange that occurs between players and the game. The game’s mechanics afford particular ways of playing and thinking about the game that different players engage with and experience. I’ll give a few examples of works that I think support this way of thinking. The Simulation Starts when you hear about the game or the box art. I heard Will Wright give a talk a few years ago on this idea and it really stuck with me. In his perspective you start playing the game in your head before you even start it. You are imagining how you would run your city, or your civilization or your house and when you start playing the game you are actively engaged in testing your model of the world against the model of the world in the game. Devane’s essay, The Meaning of Race and Violence in Grand Theft Auto: San Andreas was one of the most important pieces in shaping my thinking on this. I love how Devane exposes how the depiction of race in the game can mean such different things to different kinds of players. He does a nice job of connecting the interpretation of games with the interpretation of literary works. In this case, focusing on how playing games like reading books involves an active process of individual interpretation. We bring our experience into how we play. The critical difference here is that when we bring our experience and understanding into our game play it shapes the responses the game provides. In some of my own work I have focused on how a game’s online community forums can serve as a point of entry into the interaction between the games model and what meaning we make from the game. For example, in a recent Essay on Spore I suggested that although the game doesn’t do a good job at representing and modeling evolution the online forums suggest that far from teaching intelligent design the game is acting as a catalyst to convene a place where people tell science stories and share science information. Similarly, while Civilization’s model of the history of science and technology is rather deterministic, in a study on discussion between Civ moders I suggested that the limitations in the game model actually prompt players to imagine how one might differently model the game provides.